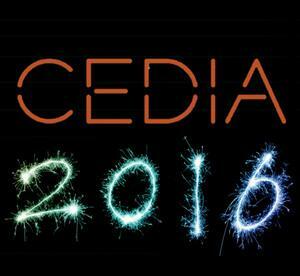 CEDIA 2016 will take place on September 13-17 at the Kay Bailey Hutchison Convention Center in Dallas. This year’s theme is “Think Big.” And thinking big is what this show is about with the chance to find information that will move your company forward in the future. This show is a remarkable experience full of entertainment for the participants. An important part of the CEDIA show is the special events and training sessions. CEDIA Talks cover important topics and emerging trends. They are short 20 minute talks by industry leaders and are being held in booth 4710. You can get helpful tips to help your business. 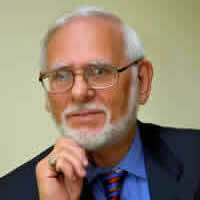 One of the talks concerns the millennial generation, which is the largest demographic group in our history. They are entering the market and will change the way we look at our business. Just as the millennials will be influencing a segment of the market, so will the baby boomers. The session on the Aging Tsunami will cover the future of digital caregiving using remote monitoring, telehealth, virtual caregiving, GPS-enabled devices, advanced fall detection, and even caregiving robots and avatars. The session on IoT will focus on adding intelligence to connected things. This session will solve many of the early IoT challenges including usability, applicability, and affordability. Don’t miss these sessions along with many more. Six new CEDIA Panel Sessions will bring you up to speed on key issues in the industry, such as the Role of Voice Control in the Connected Home; Moving into the Kitchen; When Everything is Connected to Everything; What’s New in Ultra HD/4K; and more. And don’t forget to go to the Big Lounge to meet with the Dallas Cowboys cheerleaders. They will sign squad photos and pose for pictures with the attendees. If you are looking for capital, the CEDIA Capital Summit will bring together financial professionals and business experts from the world of investing, mergers, and acquisitions. Learn what investors look for in a company; how to find qualified investors; the dos and don’ts of presenting your opportunity to investors; along with other business solutions. One of the newest technologies to influence our market is the drone. So, visit the Drone Zone, and learn innovative applications for drones at this year’s show. Experience an enclosed drone cage presentation area where manufacturers will demonstrate their technology and discuss the ways that drones are being incorporated into current residential and commercial projects. Learn about the latest advances in intrusion, video surveillance, access control, and networking infrastructure in the Security Solutions area. Talk to the manufacturers on how to expand this area of your business and increase your company’s profitability. Visit Innovation Alley on the show floor to see first-time CEDIA exhibitors. This area will help you discover new products and vendors that are bringing fresh innovation into the market. There are some great giveaways. Peerless-AV (2902) is giving away a Daytona 500 package worth $2,500. Just take a tour of their booth to enter. Crystal Screens (booth 4147) is giving away a $2,000 screen. There are some new exhibitors at this year’s show. In booth 8607, Astro Design Inc., is introducing their 8K resolution 7680 x 4320 55-inch LCD monitor (DM-3814) for location shooting and post production. It is ideal for 8K production work, medical and industrial uses. The Atram Group LLC in booth 4156 has Passive Power over Ethernet (GPOE) injectors that provide power to as many as 8 devices from a central power source up to 328 feet away. This device injects power into the CAT-5, CAT-6 or CAT-7 cable and power devices such as cameras, VOIP phones, and Wi-Fi access points. Crystal Screens in booth 4147 is the first substantial development in front projection screen technology in decades. The screen was developed by some of the world’s top optical scientists. Crystal Screens uses nano-lens technology or tiny holographic patterns imbedded on the front of a metallized projection screen. Millions of these “lenslets” create a random surface that manipulates light energy, and the result is something no screen manufacturer has been able to accomplish before: exceptional gain and ambient light rejection, zero hot spots, and a viewing angle so wide that it seems to defy the laws of physics. 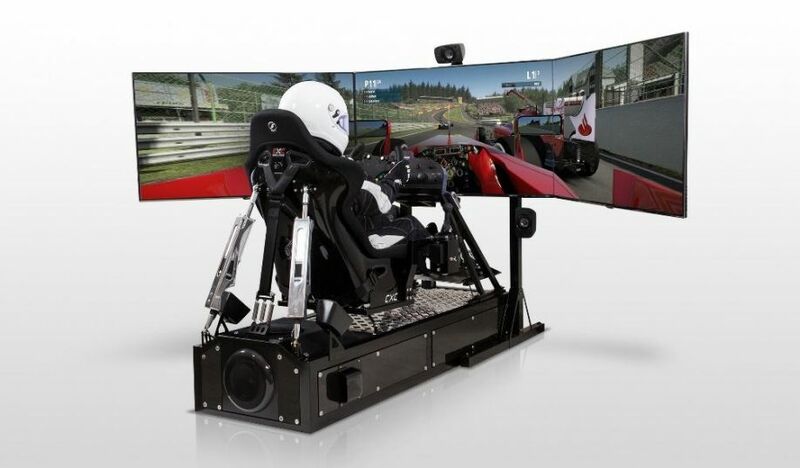 CXC Simulations in booth 8018 designed the Motion Pro II to bring racing to life away from the track. Professional racing teams have used these simulators to train for the real race. The simulator has even been used for product development testing for notable projects like the Nissan Delta Wing. Experience the racetrack as though you are actually on it. From the low mass motion system to high-quality audio and video, using the Motion Pro II means that you are truly in the driver’s seat on any track, in any car, anywhere in the world. Lightspeed Design, Inc is introducing the DepthQ® VR Film Experience in booth 6400, an immersive film experience, enhanced with motion. DepthQ® VR Player is a high performance virtual reality media server supporting uncompromised color, resolution, and 90 fps playback for Oculus Rift. RowOne (booth 8027) creates solutions to the growing demand for high quality, reasonably priced home cinema furnishings, designed to make a theater room look and sound its very best. Taking cues from custom theater designs, the RowOne Collection has the look of high-end craftsmanship, but at affordable prices. We all need projector lamps at some time. Projector Lamp Experts in booth 7002 is one of the largest distributors of projector lamps in the world. Holding many thousands of replacement projector lamps in stock, Projector Lamp Experts can deliver the projector lamps you need, and fast. Relying on a single router is like asking a loud speaker in your living room to provide great sound throughout your home. Wi-Fi waves don’t go through walls well and have an even harder time climbing stairs. Ever tried to stream a show from your bedroom when your router’s in the office downstairs? It’s a buffering nightmare. Now, you no longer have buffering and no more dead-zones. Eero (Booth 7408) is the world’s first home Wi-Fi system. A set of three Eeros covers the typical home. They work in perfect unison to deliver hyper-fast, super-stable Wi-Fi to every square foot of your home. August Home Inc., a manufacturer of smart locks and smart home access products and services, is featuring its popular August Smart Lock in booth 4169. This is the first smart lock to launch on Alexa enabled devices. Your smartphone is now a smart key. Lock and unlock your door, create virtual keys for guests, and keep track of who comes and goes, all from your iOS or Android smartphone. You never have to copy a key again. You can create virtual keys for family and guests, or choose to allow access for a few weeks, a few hours, a few minutes, or even specific dates and times. 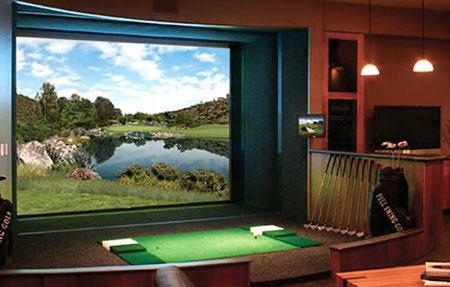 If you are a golfer, you need to visit booth 6009 to see the world’s best golf courses on the world’s finest simulator. High Definition Golf immerses you in many courses, such as Pebble Beach, the Olde Course at St. Andrews, and Quail Hollow. From the first swing, you’ll feel like you’re actually on the green. Do you like being outdoors but don’t want to miss that special show? Séura makes that possible. 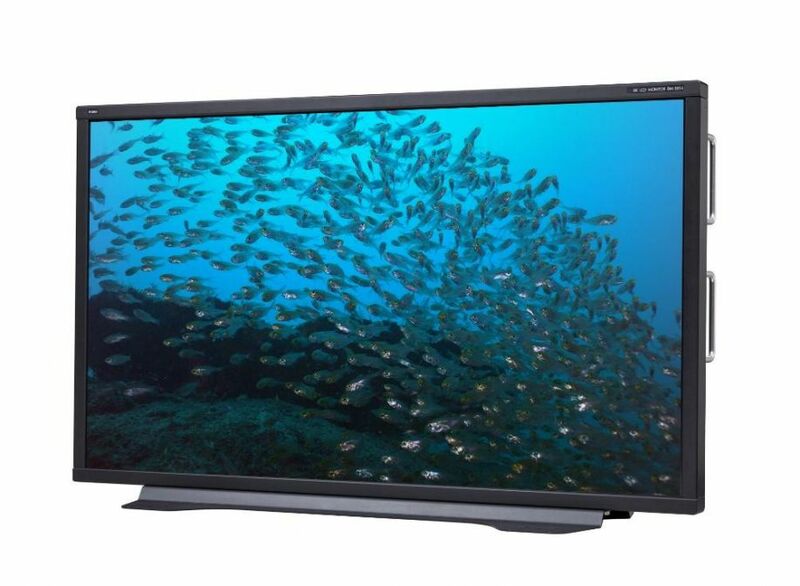 Stop by booth 3419 and see their Storm ultra-bright outdoor television with LuminOptics technology that combines dual anti-reflective coatings with 700-nit screen brightness and full HD 1080p picture resolution. It has a 3.7” thin profile, seamless glass face, beveled edge, aluminum mitered frame, and tapered profile for true design elegance. The weatherproof triple-lock seal protects against dust, moisture, ice, and insects, while withstanding temperature fluctuations from -30F to 140F. Even the remote control is waterproof. If you work within the connected home, you need to be at CEDIA. You’ll see the newest products for the residential electronic systems industry; and you’ll receive the most product training so you can do a better job. 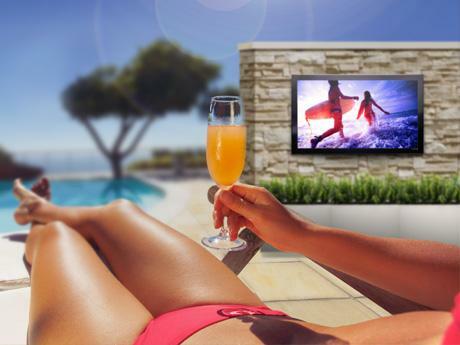 No matter what your role is in the home market, CEDIA is the show to attend.